Potassium titanate whisker (K2Ti6O13), PTW, adopts special production process which can be tailor-made to have a uniform staple in terms of diameter and length. 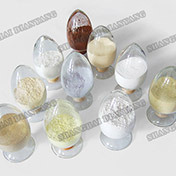 Potassium titanate whisker is a high-performance reinforcing fibers. Potassium titanate whisker (K2Ti6O13), PTW, adopts special production process which can be tailor-made to have a uniform staple in terms of diameter and length. 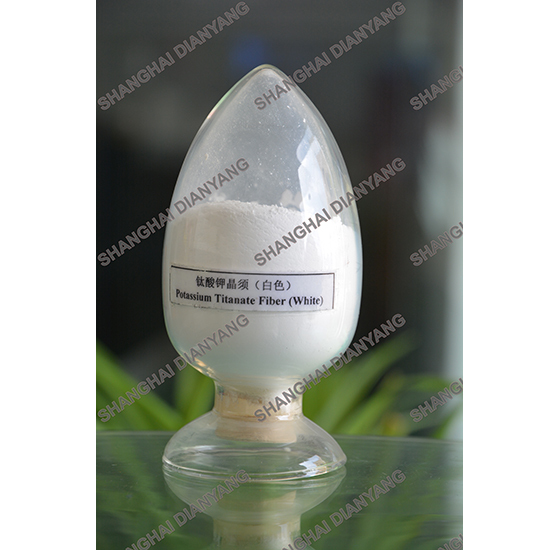 Potassium titanate whisker is a high-performance reinforcing fibers. Shanghai Dian Yang can provide K2Ti6O13 with diameter 0.2-10um, a length of 4-50um and the other grades per customers’ request. Our products are higher in mechanical strength, better heat insulation, corrosion resistance, high reflectivity, low thermal conductivity at high temperature. Potassium titanate whisker is widely applied in ceramic brake pads,brake lining, clutch, motorcycle brake pad and other friction materials, plastic modification materials, rubber modification, electric conduction and anti-static materials, paint of premium grade and anti-static purposes,Heat resistant paints, Diesel engine filter.